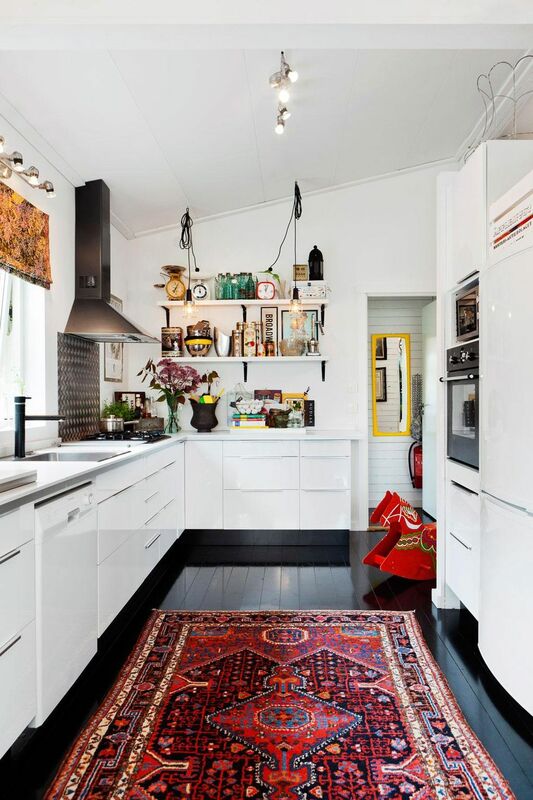 When we stayed in Stockholm this summer, our Airbnb host had the coolest of everything, including a worn down in the most perfect way Persian rug in her kitchen. My mom was all about it and so was I. It certainly meets the "lived in" criteria, but the colors are on point and the size is just right. 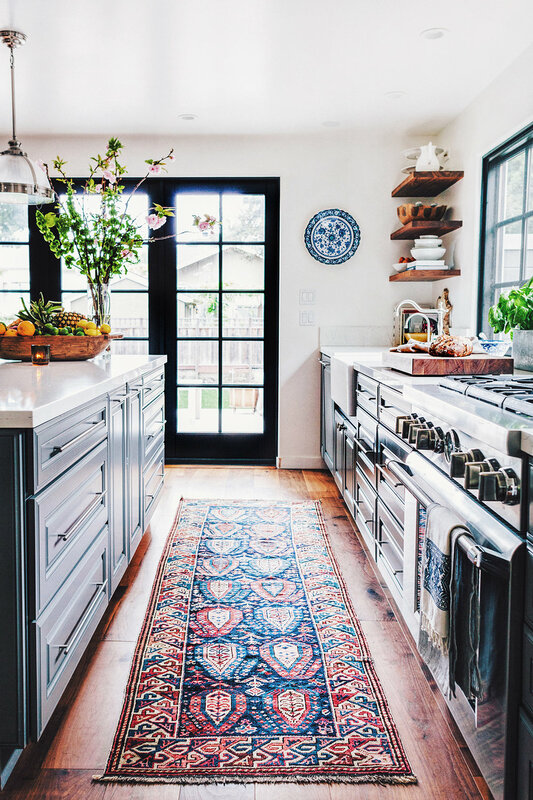 I don't know much about rugs, but this one looks ok to me. Now that we have the rug in place, we just have to build that dang kitchen. Baby steps.